Add a drink rail to your Fortress Fe26 Traditional Rail Panel by securing your choice of deck board as a top rail with this 1" Cap Rail Clip. Stocked in Black Sand. Also available for special order in Gloss Black and Antique Bronze. 4 pack. 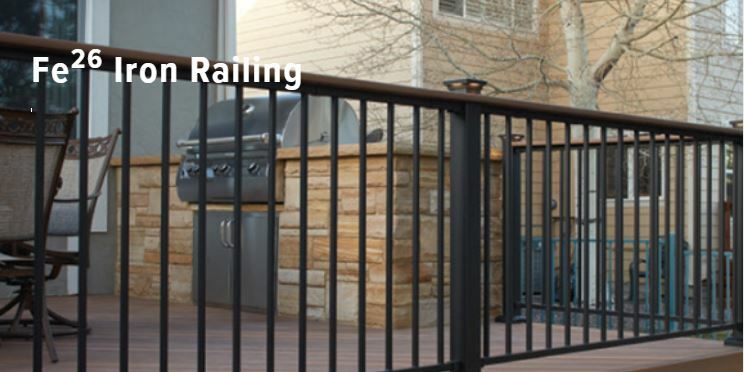 Simplify the installation of your Fortress Fe26 Railing with the use of this handy template. Use with Collar Brackets.Fortress Fe26 Template for Collar Bracket includes metal marking tool. Simplify the installation of your Fortress Fe26 Railing with the use of this handy template. Use with Universal Brackets.